Hello! 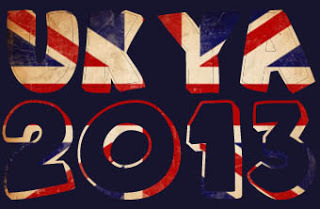 Another Wednesday, and today I have another UKYA book to highlight. Sara Grant is the author of Dark Parties, which I read and enjoyed awhile back. 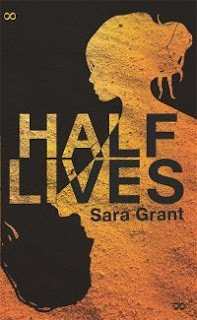 Her new book, Half Lives, is being published the 2nd of May by Indigo and it sounds quite interesting! Sounds so tempting...thanks for sharing. Love your background here! This sounds really interesting. I'll definitely be checking this one out when it's released. And the cover is so cool. I love covers like thsi one! Thanks for sharing! Yeah, i really like the cover too. I hope it's shiny! Ah, Dark Parties was on my wishlist, but I've forgotten about it! Will definitely have to catch up when Half Lives comes out, it sounds really interesting. Luckily the two books aren't in a series!